The eleventh Star Trek movie is opening this Friday, and I don’t know about you, but I’ve already bought my ticket. It’s a reboot of the original series, which means more James Tiberius Kirk, Spock, and the rest of the gang. It’s enough to make me jump up and down in excitement. Thinking about the various iterations of Star Trek made me think about all my favorite aspects of the series. One of my absolute favorite things about it is the terminology. 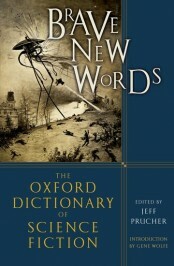 In his book Brave New Words, Jeff Prucher has a short essay about Star Trek and its influence on the language of science fiction. “Words coined for the series and its spin-offs have stuck in the popular imagination, and are used by people in all walks of life,” he says. And it’s true. So, in celebration of a new Star Trek movie, I decided to put together a list of my top 10 favorite words from the Star Trek universe. In case this isn’t enough of a Star Trek fix for you, here are some more posts about the series and the upcoming movie: a list of lists (from io9) and Trek for kids (from Time Out Kids). I’ll probably be back next week with a follow up post, looking at how many of my favorite terms and technologies worked their way into the movie. I’m hoping at least half will show up somewhere. I hope you all enjoy it as much as I’m sure I will! Image Credit: ‘Leonard Nimoy, William Shatner, Star Trek’, Image by skeeze, CC0 Public Domain, via pixabay. The transporter is one of the most useful inventions of the Star Trek universe. It can get you from point A to point B (and sometimes, inexplicably, point Z during electrical interference) instantaneously. Worried about being torn apart and put back together at the molecular level? Don’t be. Rarely does a transporter user have his DNA scrambled. However, this doesn’t account for the occasional creation of an exact clone caused by glitches in the transporter stream. Who didn’t want a tricorder as a kid? Something you could wave around, beeping, and then (pointing it at an annoying younger brother) “I’m registering large quantities of methane emissions. Everyone evacuate! He farted!” Or, in a more practical sense, I’d love to have one as an adult. A hand-held device that can detect carbon monoxide, or tumors, or any number of things? Imagine how much easier than a CAT scan that would be. This was an ability I always envied Spock—well, this and the Vulcan nerve pinch. Can you imagine how useful that would be in quieting said annoying younger brothers? The mind-meld is equally neat though; I’d love to know what a whale is thinking (Star Trek IV, for those of you who are not as nerdy as me). 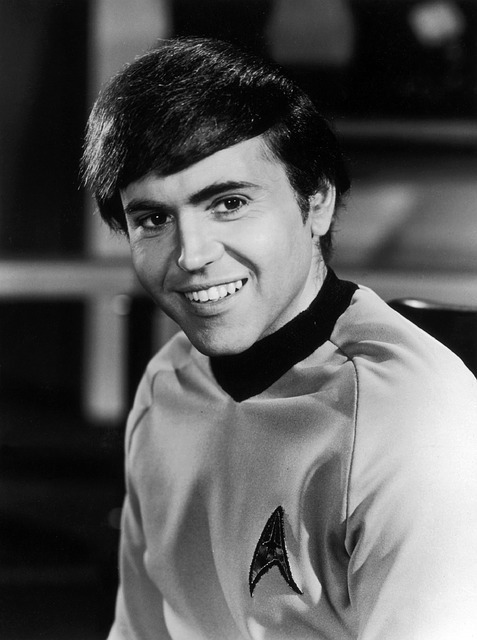 Image Credit: ‘Walter Koenig, Star Trek’, Image by skeeze, CC0 Public Domain, via pixabay. I never knew how they came up with the stardates, and now I’m going to have to pay attention to the new movie and how it does them. Of course, it won’t match up to the original series because the whole plot revolves around alternative futures and time travel, but still. Something to pay attention to! I loved the idea that not only would humans one day be able to go at warp speed, but that we would have different levels of warp speed. We could go Warp One if we weren’t really in a hurry, Warp Five if we wanted to get there fairly quickly, and Warp Nine if we were fleeing from a star going nova unexpectedly behind us. Every captain needs a rule to rebel against. 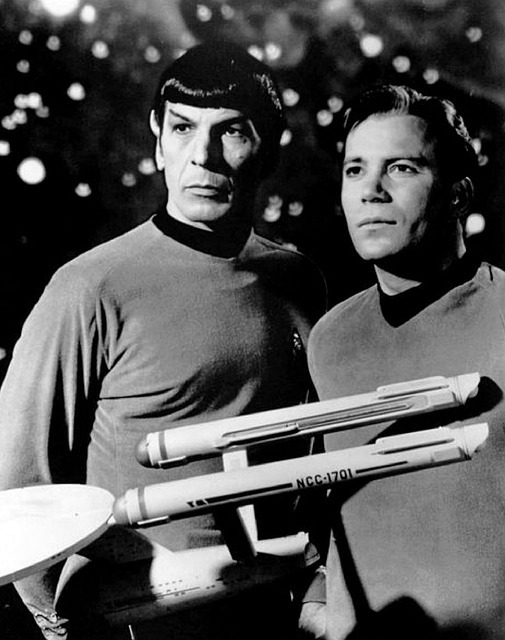 For the captains of Star Trek (and I mean that in just about every iteration of the series), it’s the prime directive. Kirk, Picard, Janeway and the others are not supposed to interfere in the normal development of a civilization, especially pre-warp civilizations. Yet time and time again, they get drawn into it somehow. Does NASA have a prime directive in place yet? If not, they should start thinking about one. 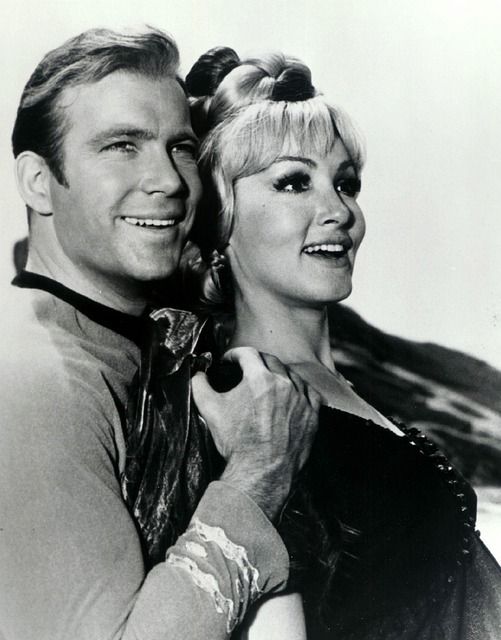 Image Credit: ‘William Shatner, Judie Newmar, Star Trek’, Image by skeeze, CC0 Public Domain, via pixabay. How is it that the Klingons, an alien race whose main identity is that they are warriors, and Romulans, of a similarly martial tradition, were the ones who used cloaking devices most often? That doesn’t seem particularly fair to me. The holodeck is famous for malfunctioning, making it someplace I don’t think I’d want to go on a regular basis. Interestingly, the holodeck made its first Star Trek appearance not in The Next Generation, but in the animated series that was on from 1973-74. Whenever an away team was formed in the original series, it always seemed to consist of a mix of Kirk, Dr. McCoy, Scotty, Spock, Uhura, and a poor random ensign. The away teams would change, but there was always that ensign in a bright red uniform, and as soon as you saw him, you knew the unfortunate man was doomed to die in some horrible way. While not a term that was ever used in the series, I’m interested to see if the phenomenon continues in the new movie. And also kind of hopeful that it does. After all, the new movie is supposed to pay homage to all the things we love about Star Trek, right? Admit it, it’s your favorite episode too. Featured Image Credit: ‘The southern constellation of Carina’ by NASA, ESA and the Hubble SM4 ERO Team, 2009. Public Domain via Wikimedia Commons. Cassie Ammerman was a Publicity Assistant with OUP from 2007 - 2009. You have to catch the Family Guy episode where William Shatner and a Redshirt both appear. The caption under the picture of Kirk and the woman is incorrect. It’s Julie Newmar, not Judie. Episode was Friday’s Child.